Growing up, sisters Louiza Rademan and Christine Buchanan were raised in a family that values the ethos of organic products. They would sometimes make lotions and potions as a hobby, so when Buchanan became pregnant with her first son and was dissatisfied with the mass-produced chemically formulated skin care products in the market, Rademan decided to make an all natural bum balm for her nephew. After a while, the sisters began gifting the bum balm to family and friends. Positive reviews received on the quality and efficacy of the balm later encouraged them to organise and sell the bum balm at their first trade show in early 2010. The trade show was such a success that the demand for the product outweighed its supply on the first day. This knowledge spurred the duo to commercially launch their baby bum balm product and their company – Oh-lief Organic & Natural Products, a 100% natural and organic skin and body care product range – in October 2010. The sisters quit their jobs (Rademan and Buchanan worked as an architect and property manager respectively) and concentrated on growing their business. For the first few years, the sisters were working out of the kitchens of their homes, using family recipes to develop products that are ideal for all skin types. They also re-invested all the revenue into the business to ensure that there was money for growth. However, every business has a moment that changes its course. 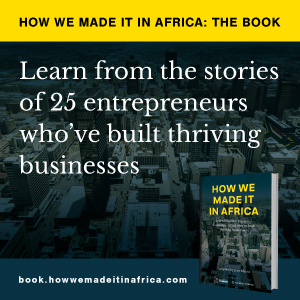 For Oh-lief it was winning the R1m (US$72,130) prize money in Standard Bank’s 2014 startup competition for entrepreneurs in South Africa, as featured in the television series Think Big. The money allowed the company to invest in new equipment and develop its business and investment strategies. “That competition opened a lot of doors for us,” says Buchanan. “It allowed us to expand our factory quite well and offer contract manufacturing to lots of natural organic brands in South Africa and Europe. In June 2015 the sisters moved to a new factory in Maitland, near Cape Town. The company also expanded by creating a contract manufacturing arm – Oh-lief Manufacturing. Oh-lief’s products are all locally made by hand, with organic olive oil and beeswax as a base, combined with natural properties of a number of other organic ingredients. Today, Oh-lief has 12 female employees and 24 product lines across its baby, adult and sunscreen range. These are certified organic products and endorsed by the Cancer Association of South Africa and Beauty Without Cruelty, and is certified by the Soil Association on its COSMOS standard. Oh-lief has also achieved a number of firsts with its product lines: For instance, Oh-lief claims that its aqueous cream is the first original aqueous cream produced in South Africa without using petroleum and mineral oil. The company’s products are now stocked and sold in hundreds of South Africa health shops, pharmacies, gift shops and baby stores. Its products have also found its way into neighbouring African countries like Zimbabwe, Mozambique, and Namibia as well as European countries, including Scandinavia. While Christine credits the success of the company to “hard work, resilience, determination and knowing [their] strengths and weaknesses”, she admits that having her sister as a business partner and working with a team of women who have the interest of the company at heart, is a plus. Buchanan notes that “it’s very important for your business partner to have the same values, passion and drive to make your brand a success”. Surely they must have faced some challenges? Christine says the biggest challenge Oh-lief has had to face over the years was finding a sustainable source for raw, natural and organic ingredients within the South African market. Oh-lief’s big vision is to be the most-trusted natural and organic skin care brand in South Africa and a global competitor worldwide, specifically in the European market. It hopes to provide an organic alternative to conventional products available in the marketplace, so that people can choose not to use the chemically loaded conventional products on the shelves. Anything we can learn from their experiences? To anyone hoping to start a business, Christine says your best bet is to do something that you really like. “Money shouldn’t be the motivation to start your business. It should be something you feel passionate about and something you can face every single day for the next 30 years,” she opines.